For a getaway that spells 'special'. 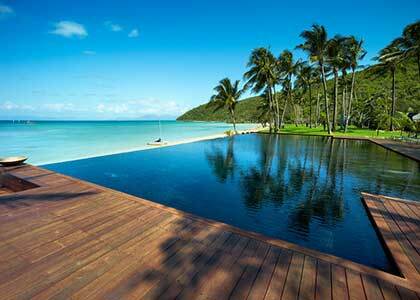 Lizard Island is the place to go. Think endless white sandy beaches, stunning turquoise water lapping at the shore and gently swaying palm trees. As well as beautiful sunsets, service, food and moments. 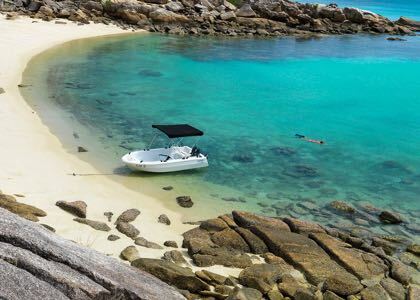 Head to Lizard Island for that ultimate island getaway. 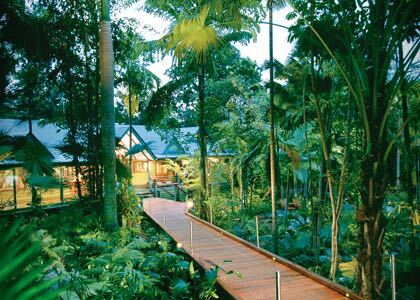 With the Daintree National Park and Great Barrier Reef on your doorstep, this luxury boutique eco-lodge is the perfect place for a getaway. Relax and unwind on the expansive veranda of your treehouse, or in the luxurious bath, spoil yourself with an indulgent spa treatment or dine out surrounded by nature. The Reef House offers a luxury 5-star hotel where comfort and relaxation is at its finest. 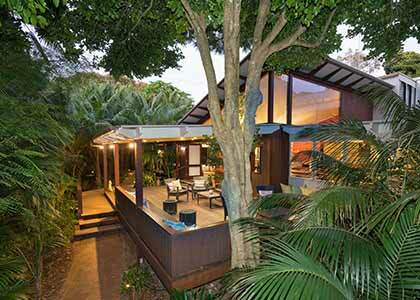 At The Reef House you're within minutes of picturesque Palm Cove Beach or the adventurous Cairns Tropical Zoo. Escape to The Reef House for the ultimate beach side retreat. 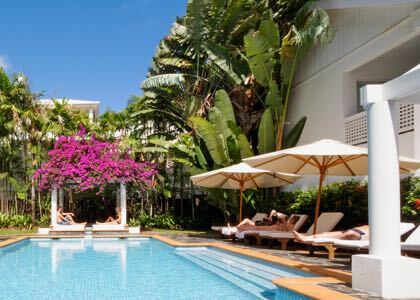 Pullman Port Douglas Sea Temple Resort and Spas luxurious 5-star apartment are within the vicinity of Marina Mirage, St Mary's by the Sea Chapel, next to a golf course and convenient to Four Mile Beach Park and Wildlife Habitat. Make yourself at home in one of the 128 private suites or pamper yourself with an indulgent visit to the spa. With its absolute beachfront location, the exclusive Beach Club offers an intimate holiday experience. Set in landscaped gardens, all rooms face directly onto Catseye Beach, either with their own private courtyard or balcony. 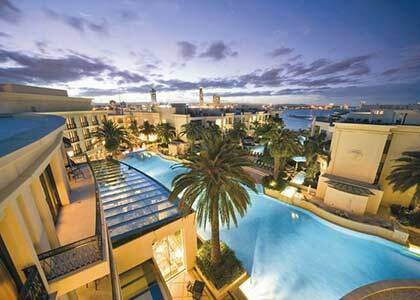 More than luxury accommodation, Beach Club hotel is a destination of exploration and indulgence. 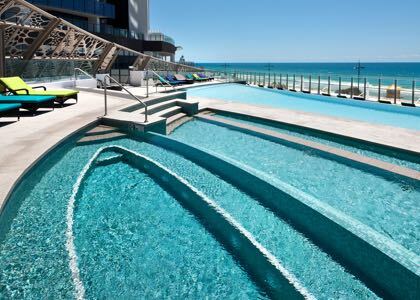 Set on the beachfront of the newly transformed Surfers Paradise Esplanade and Foreshore precinct, Peppers Soul brings a new dimension to contemporary sophistication and luxury. This state-of-the-art building is one of the tallest on the Gold Coast and offers spectacular uninterrupted ocean and hinterland View mores. Nestled between the beautiful Pacific Ocean and the sparkling Gold Coast Broadwater, Palazzo Versace offers an indulgent getaway, encompassing spectacular architecture, a waterfront setting, bespoke furnishings, extraordinary service and an ambience of pure glamour. 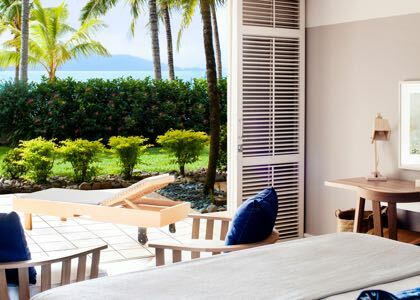 Located amidst the magical waters of the Great Barrier Reef, the island stretches across 11km of immaculate turquoise coastline, and comprises of a pristine National Park and surrounding World Heritage-listed Marine Park. Orpheus showcases a plethora of once in a lifetime experiences! qualia is a truly special place where everything has been meticulously considered to relax the mind yet completely spoil the senses. 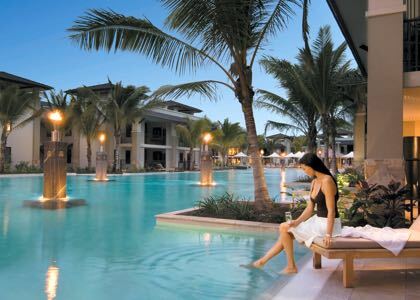 This world-class resort immerses you in a relaxed atmosphere, offering personalised and intuitive service. 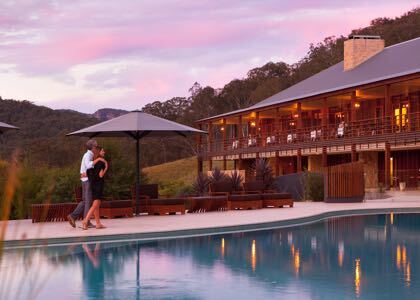 Set on 4,000 acres of spectacular World Heritage wilderness, the acclaimed Emirates One & Only Wolgan Valley has been expertly designed to showcase the best Australia has to offer. Enjoy the quintessential luxury bush experience with a unique blend of wildlife, natural beauty, conservation and heritage in a breathtaking setting. Set by the magnificent Three Sisters and the World Heritage Listed Blue Mountains National Park, Lilianfels boasts a spectacular setting for your next getaway. Built in 1889, Lilianfels is spread over two acres of English-style gardens and offers all the comforts of a world-class retreat. 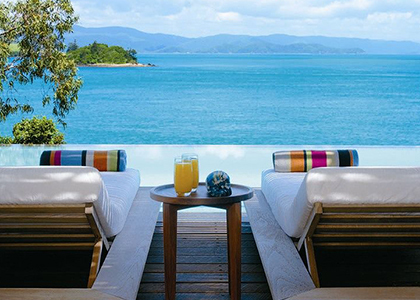 Indulge in the barefoot luxury of Byron Bay's only world-class beachfront resort. Elements of Byron is a resort unlike any other. From the majestic beach location to the elegantly understated private villa accommodation, this is an extraordinary setting for an unforgettable holiday. A new boutique hotel in the idyllic coastal township of Mollymook. Guest suites, luxurious penthouses and an expansive Rooftop that takes in the entire top floor, complete with sunbeds and an amazing suspended pool. A Rooftop Bar and Grill serves delectable tapas-style meals. All of this just 100m from Mollymook Beach and 800m from big sister Bannisters by the Sea. Nestled under palm and banyan trees with a view of Old Settlement Beach, Arajilla is the ultimate luxury island retreat. Escape the city hustle and bustle and find your inner peaceful tranquility at Arajilla retreat. 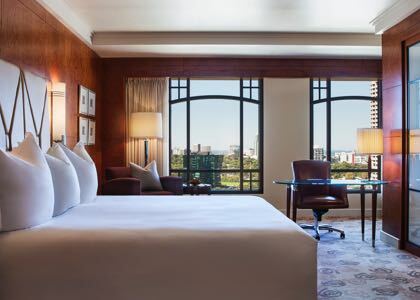 Nestled in Sydney's most exclusive harbour side address, The Langham, Sydney boasts the city's largest guestrooms including opening windows and balconies. From its historic The Rocks District location, guests can enjoy sweeping western harbour side views, and a tranquil yet convenient proximity to some of the city's most iconic experiences. Park Hyatt Melbourne is your private haven in the middle of a cosmopolitan city. Distinctive in location and design, you'll love the uncompromising attention to detail and superior personalised service. The oversized guestrooms and suites offer absolute luxury with some featuring spas, fireplaces and private terraces. 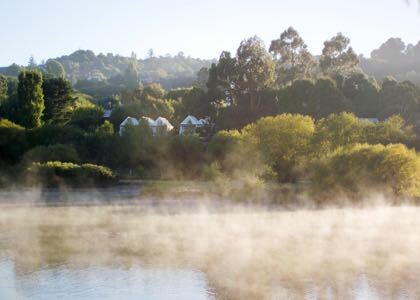 Lake House, one of Australia's best boutique hotels, sits on the shores of Lake Daylesford. With a tranquil, welcoming ambiance, the luxury rooms and suites are nestled amongst gardens, waterfalls and streams. Dine at the award-winning 2-hatted restaurant or relax in an idyllic hot mineral water tub overlooking the lake. Jackalope’s rooms offer intoxicating views with private balconies, king-sized beds and, in select rooms, deep-soak tubs boasting bewitching eye lines to the vines. 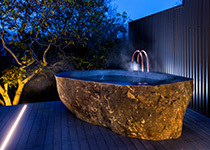 Fantastical fixtures are finished in golds, bronzes, coppers, and silvers, creating a reverie of luxury at every turn. 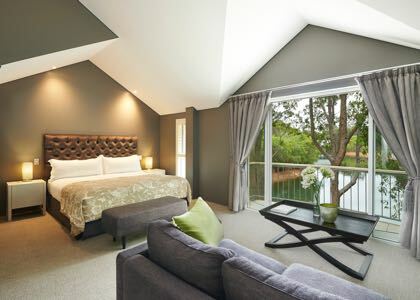 Lindenderry at Red Hill is one of Victoria's premier country house hotels. Built in the style of the finest European properties and set amongst 30 acres of manicured gardens and vineyards, Lindenderry is perfect for an intimate, relaxed break on the Mornington Peninsula. 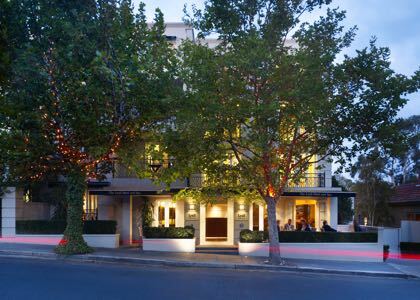 Capturing the essence of its chic South Yarra address, The Lyall is a boutique five-star hotel. From the luxury suite accommodation, impeccable facilities and the superb location, to the award-winning dining and galleries throughout the hotel, you'll experience a luxury lifestyle that you won't ever want to leave. When you arrive at The Mansion Hotel & Spa you enter a world of luxury. With its contemporary design and superb surroundings, its selection of fine food and great wines at Joseph's Restaurant and the sheer indulgence of The Spa, this is the ultimate retreat. 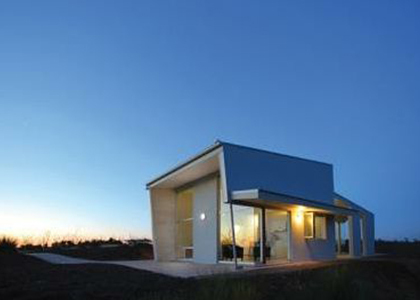 Channel your inner wine connoisseur with a stay at the luxurious Cape Lodge at Margaret River. 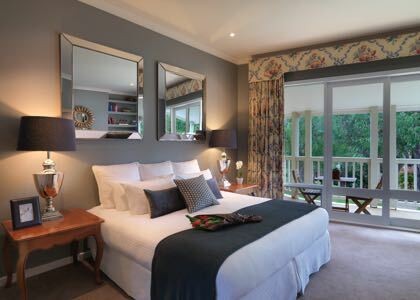 Situated on its own private vineyard and just minutes from divine beaches, Cape Lodge is a gourmet lover's delight with everything you would expect from a Conde Nast gold list and boutique hotel award-winner. The award-winning Cable Beach Club Resort & Spa overlooks Broome's iconic Cable Beach. Set against the backdrop of the Kimberley, the resort's stylish rooms reflect the Asian and colonial cultures which shape Broome's identity. Indulge your senses and let your cares drift away at this exclusive tropical retreat. Conceived by designer Kerry Hill, all 48 contemporary rooms and suites project a sense of COMO serenity. Grand Posture king-size beds, handcrafted European furnishings and oversized windows deliver comfort, personality and light. 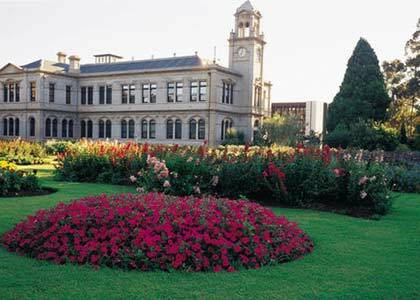 Explore the magic and mystery of Tasmania's wilderness. 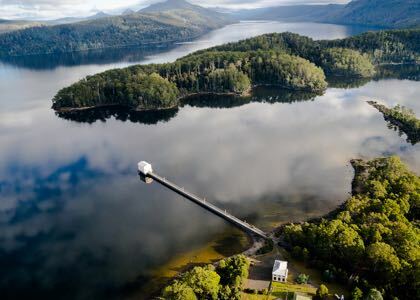 Pumphouse Point offers a unique experience on iconic Lake St Clair in the spectacular Tasmanian World Heritage Listed National Park. 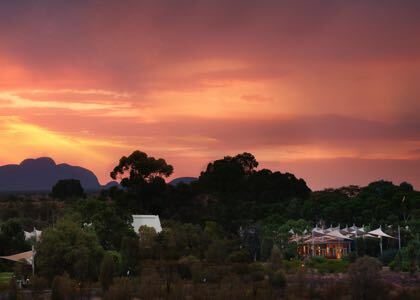 This intimate retreat is the perfect place to escape, unwind and relax in some of Australia's most spectacular scenery. 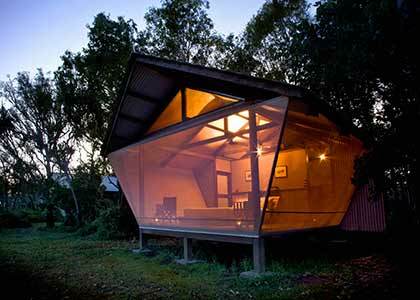 Cradle Mountain Lodge is a truly unique wilderness experience. 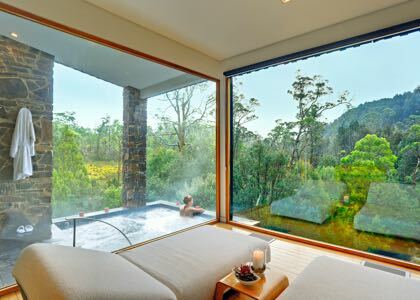 This superb escape showcases the best Tasmania has to offer with warm hospitality, locally produced food and wine, breathtaking scenery and the magnificent wilderness. Don't miss this magical place where you can wander through forests with trees older than mankind. Immerse yourself in art and design, in a contemporary pavilion nestled within the heritage gardens of an iconic Launceston property. Art filled with a moon window to star gaze and private outdoor area complete with your own volcanic rock bath - a sensual experience like no other. 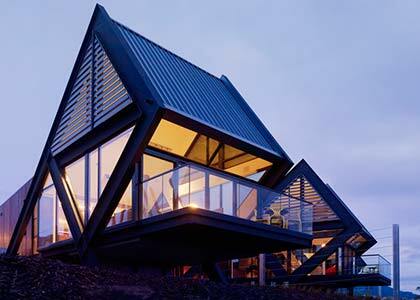 MONA Pavilions provide contemporary-designed sophisticated accommodation on the outskirts of Hobart, southern Tasmania. 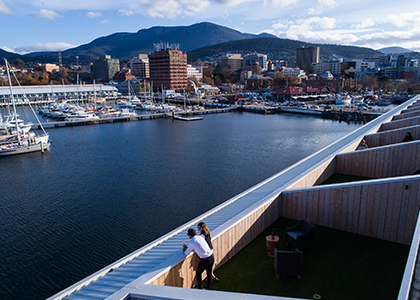 The eight pavilions sit on a three-and-a-half hectare private peninsula overlooking the Derwent River. Experience the unique combination of fine accommodation and avant-garde art, coupled with exquisite food, a micro-brewery and winery onsite. 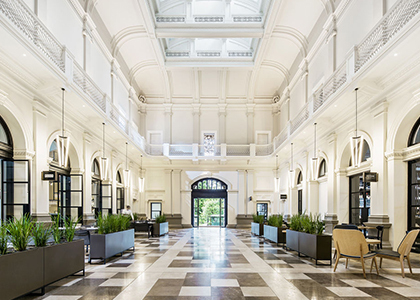 On a prime site in Hobart sits The Islington Hotel, formally a stately home and now an 11 room luxury urban lodge for those seeking a gracious and elegant retreat amid a charming and tranquil setting. 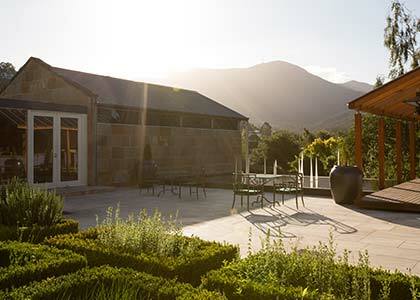 Built in 1847 in Regency style, Islington Hobart commands breathtaking views of Mt Wellington. Inside, the Library, the Conservatory and the Morning and Rose rooms offer the perfect places to relax. Each room is inspired by a Tasmanian character whose story is not just told, but radiates through individual room design. Your character can be heard, seen, touched and ultimately felt - every story reflecting one of the five uniquely Tasmanian character traits. In the heart of the Red Centre, Sails in the Desert exquisitely contrasts Uluru's beauty with a luxury outback experience. In a place where one of the world's oldest cultures still thrives, the mystery, colour and wisdom of the local Anangu people is interwoven throughout its design. Indulge your senses at Sails in the Desert. Bamurru Plains provides an exclusive wildlife experience on the magnificent Mary River floodplains, just three hours by road from Darwin on the edge of Kakadu National Park. The safari-style bungalow accommodation is surrounded by savannah woodland teeming with wildlife, reptiles and birds. Cicada Lodge is designed for the sophisticated traveller looking for an authentic Indigenous and natural Australian "experience-of-a-lifetime," in the heart of Northern Australia’s Timeless North. A sanctuary of elegant comfort, the Lodge provides a level of excellence in accommodation, service and dining. 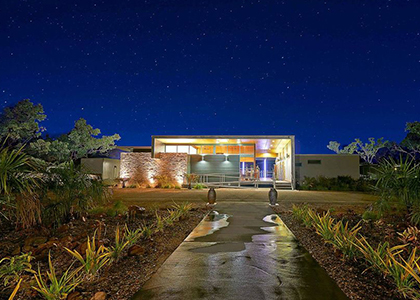 Located on the western edge of Wilpena Pound, Rawnsley Park Station adjoins the ancient land of the Flinders Ranges National Park. From eco-friendly luxury to camping under the stars, change the way you look at the world and step back in time to explore this beautifully rugged 540 million-year-old landscape. 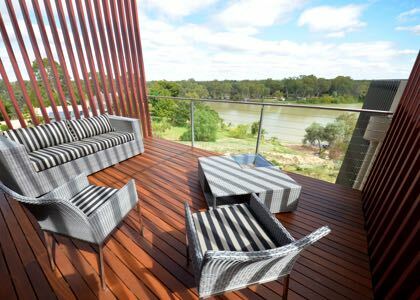 Situated in Paringa, near Renmark in South Australia's Riverland, The Frames luxury suites individually reflect the environment and history of the area. Designed for couples that refuse to settle for anything but the best, experience the ultimate indulgence with a personal chef preparing a mouth-watering three-course dinner. ^ You must be a member of the Qantas Frequent Flyer program to earn Qantas Points. A joining fee may apply. Join online now. Membership and the earning and redemption of Qantas Points are subject to the terms and conditions of the Qantas Frequent Flyer program. Qantas Frequent Flyer members will earn 3 Qantas Points per A$1 spent. Qantas Points are awarded at least 6 weeks after check-out and will not be earned on cancelled bookings. To ensure you earn your Qantas Points, be sure to quote your membership number when booking and at check-in. Qantas Points cannot be split between two or more members occupying the same room. Some Hotels may not allow you to combine this offer with any other offer. Qantas Points may be earned by the member in whose name the booking is made. Members will not be able to redeem points for, or earn points on additional charges paid to the hotel for extras (including cots, breakfasts and other incidentals) on check-in or check-out (as applicable). ~ If, on the same day after you book a hotel at qantas.com, you find that same identical product available to purchase on any Australian website for a lower publicly available price, we'll match it. Claims, including a qualifying screenshot, must be submitted by 11:59pm (AEST) on the same day that you made and paid for your booking at qantas.com. To qualify for Price Promise, the products on qantas.com and the competitor travel website must be identical in all regards, and all details must be visible on the screenshot of the competitor's website. View more full terms and conditions of Price Promise at qantas.com.